Matudnila.com - A Cebu Events Blog: ASUS brings the first Overclocking Competition in the Philippines! Home Overclocking ASUS brings the first Overclocking Competition in the Philippines! ASUS brings the first Overclocking Competition in the Philippines! Marked in History last May 23, 2009 for the first Live Overclocking Show in the Country happens at SM City Cebu Entertainment Plaza brought to us by ASUS, the leader in Overclocking Technology. Since overclocking is a means of tweaking your computer hardware to function above its original specifications, there is a need for the best performing and most efficient hardware during the showdown. Asus, the world’s no. 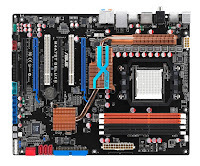 1 motherboard manufacturer, will be providing the teams with top hardware such as the latest Intel Core i7 board – Rampage II Gene and the OC record-breaking AMD-based motherboard, M4A79-T deluxe. The Asus Rampage II Gene is part of Asus’ Republic of Gamers (ROG) series. As the name suggests, all R.O.G products are made to provide the best performing solutions for serious gamers and overclockers. 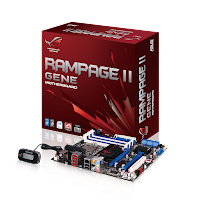 Rampage II GENE echoes this as it boasts premium features such as MemOK! for worry-free memory upgrades, CPU Level Up for easy system performance boosts, and onboard SupremeFX X-Fi for true-to-life surround sound in a compact mATX form. The Asus M4A79-T deluxe motherboard on the other hand, features the unique Asus Xtreme Phase Power design, also evident in most Asus motherboards. It utilizes more phases to deliver more power and achieve better performance, more stability, enhance power efficiency, and lower temperatures under any loading. 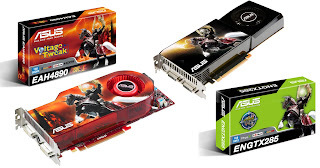 The teams will also use the latest graphic cards from the brand such as the ASUS EAH4890 and ASUS ENGTX285. Besides from these top-notch motherboards, the overclockers will also be using memory from OCZ, Caviar Black hard disks from Western Digital, Sunbeam coolers, Silverstone power supply and cordless mouse and keyboard from Logitech. Microsoft Corporation will provide the operating systems. Viewers didnt go home empty-handed, as Asus will also be giving away cool gadgets to lucky audience participants during the Asus Q & A.
CBX Corporation, Fine Upgrades Technologies, Tech Island TV, SM City Cebu and SM Cyberzone also sponsor the ASUS Ultimate Overckclocking show. Wanna thank Jason Teh of ASUS Philippines and Miss Angie Limbaco of First Tier Branding Solutions, Inc for inviting Cebu Bloggers Society to witnessed the event. ASUS is a leading company in the new digital era. With a global staff of more than ten thousand and a world-class R&D design team, the company’s revenue for 2008 was 8.1 billion U.S. dollars. ASUS ranks among the top 10 IT companies in BusinessWeek’s “InfoTech 100”, and has been on the listing for 11 consecutive years. 3 comments: on "ASUS brings the first Overclocking Competition in the Philippines!" i missed this event. super late. wahehe. curious kaayo unta.